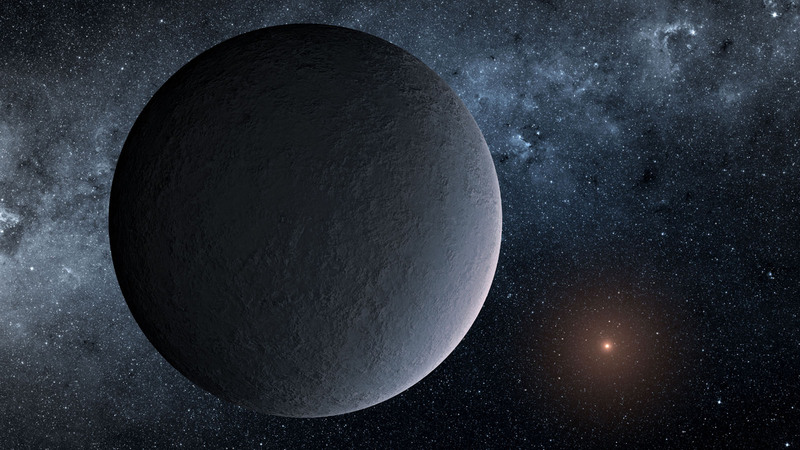 “This ‘iceball’ planet is the lowest-mass planet ever found through microlensing,” said Yossi Shvartzvald, a NASA postdoctoral fellow based at NASA’s Jet Propulsion Laboratory, Pasadena, California, and lead author of a study published in the Astrophysical Journal Letters. This artist's concept shows OGLE-2016-BLG-1195Lb, a planet discovered through a technique called microlensing. “Although we only have a handful of planetary systems with well-determined distances that are this far outside our solar system, the lack of Spitzer detections in the bulge suggests that planets may be less common toward the center of our galaxy than in the disk,” said Geoff Bryden, astronomer at JPL and co-author of the study. “We are able to know details about this planet because of the synergy between KMTNet and Spitzer,” said Andrew Gould, professor emeritus of astronomy at Ohio State University, Columbus, and study co-author.